The families of three missing Long Island teens received news that three bodies found in the area have been identified as their children. 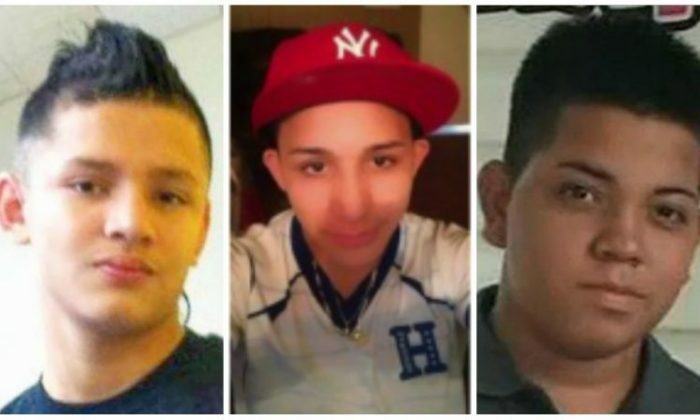 Police found the remains of Javier Castillo, 16, Kerin Pineda, 19, and Angel Soler, 16, in Freeport, Merrick, and Roosevelt respectively, the New York Post reported. The family of 16-year-old Angel Soler from Roosevelt is grieving after learning that his body has been identified. Police found Soler’s remains after an extensive search in a wooded area at the west end of West Greenwich Avenue in Roosevelt. The Department of Homeland Security had received a tip that a body may have been dumped in the woods. Soler’s mother searched for him together with Lillian Oliva, a Long Island mom whose son is also missing. The women searched the woods near their homes but were unsuccessful. After Soler’s remains were identified, Oliva, the mom of the other missing teen, feared the worst. On Friday, her fears became a reality when police contacted her to say that the body of her son, Kerin Pineda, had been identified. Pineda’s body was found in Freeport Reservoir on Oct. 27. He was last seen leaving his home in Freeport in May last year. Pineda was 19 at the time. The body of the third teen, Javier Castillo, was found in Cow Meadow Park in Freeport. Pineda’s sister told PIX11 that he was likely targeted by the MS-13 gang because he wore white sneakers with red on them. Law enforcement sources told the Post that all three teens had been killed by the MS-13 gang. The gang has taken root across the United States after a mass of young migrants from Central America crossed the U.S. border. Police said 25 people have been killed by MS-13 on Long Island in two years. President Donald Trump has made the eradication of MS-13 a priority of his administration. He visited Long Island to speak to police there about destroying the gang. The cause of death for all three teens is not yet known. Soler’s body was found in an area that looked like a gravesite, according to Detective Lt. Stephen Fitzpatrick. Nassau County police are working with DHS and state police to inspect the site round the clock, saying they don’t know how long the work will take. “As long as it takes,” said Fitzpatrick.